On a visit to the unique woodlot known as Thickson’s Woods Nature Reserve in Whitby, Ontario, we changed things up a bit, and crossed over the adjacent walkway to the protected habitat of the meadow that borders the forest. With its abundance of long grasses, bushes, shrubs, evergreens, and the remains of an old orchard, it was teeming with birds of all species. 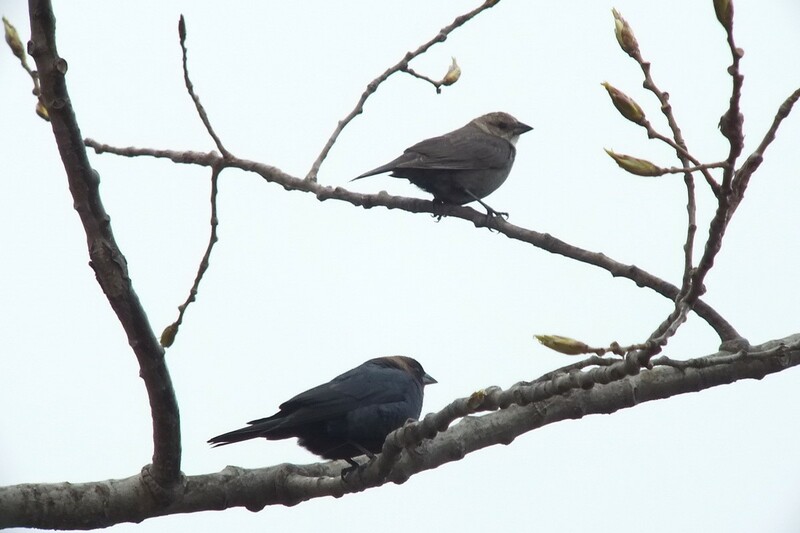 One type of bird that caught my eye were a group of Brown-headed Cowbirds, at rest on a branch right beside the path. 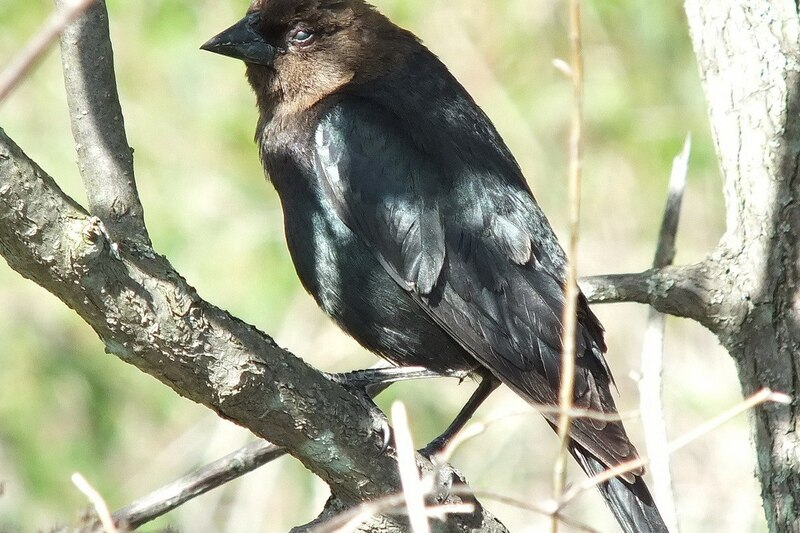 Brown-headed cowbirds have a short bill for a blackbird, more like the beaks of sparrows or finches, and the birds are stout and sparrow-like. 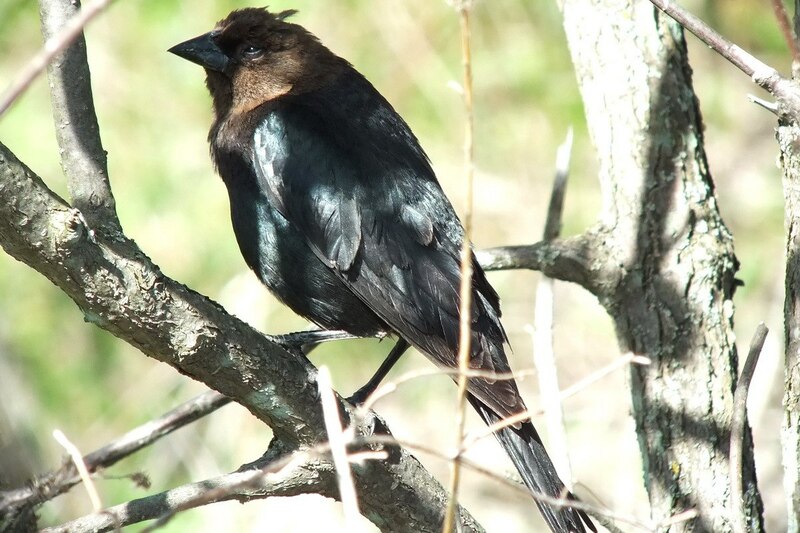 The distinctive brown head of the male, together with the glossy black body, makes it easy to recognize. In the bright afternoon sunshine, the black plumage reflected shades of green and purple. 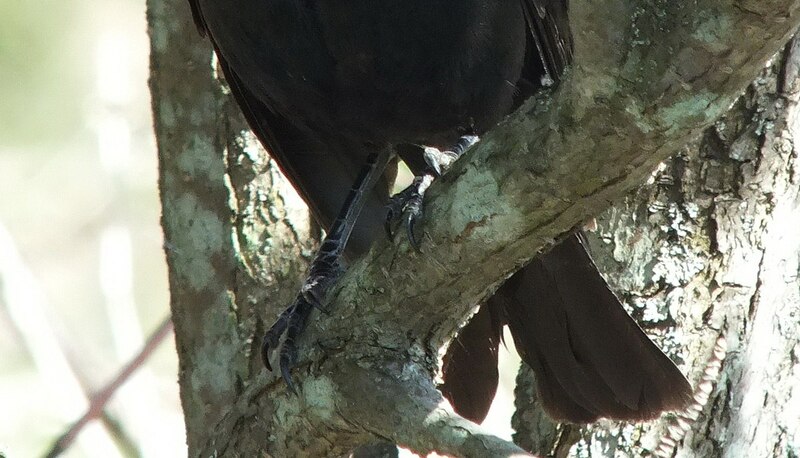 The tail of a cowbird is square at the tip and is actually shorter than the folded wing. 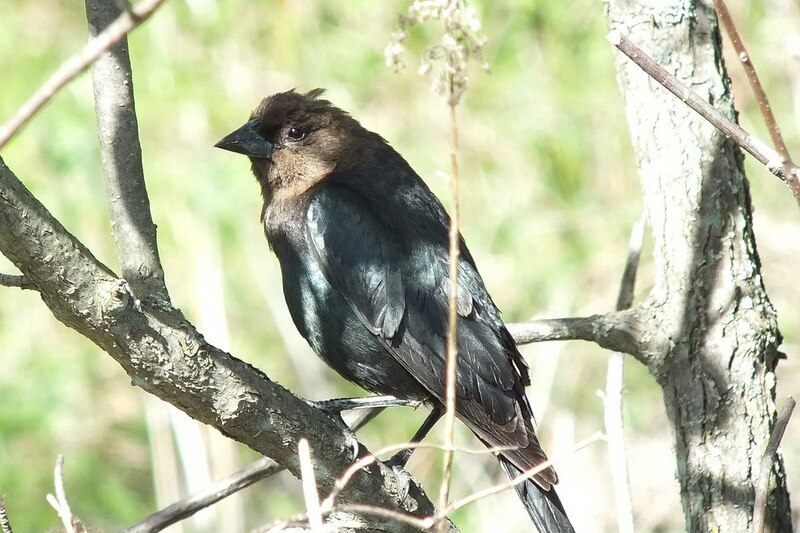 Brown-headed cowbirds like to forage in open areas such as pastures and grain fields, and are often associated with cattle, horses and other large mammals for the insects that they stir up or attract. That common habit is what led to the name of the species. Before large-scale settlement, cowbirds used to follow bison herds across the prairies. A cowbird’s diet consists of seeds from grasses and weeds and large numbers of insects, including many destructive ones. Its food habits, therefore, are highly beneficial. The good it does, however, is doubtless more than nullified by its nesting habits, which cause the destruction of large numbers of young songbirds. Brown-headed Cowbirds, you see, are parasitic meaning that they do not build nests of their own but seek out host nests wherein to lay their eggs. The host species then becomes responsible for hatching and rearing of the cowbird. This behaviour actually compromises the survival rate of the host species’ nestlings. Usually, one cowbird will lay only one of its eggs in a host nest, preferring to distribute its eggs between several nests. 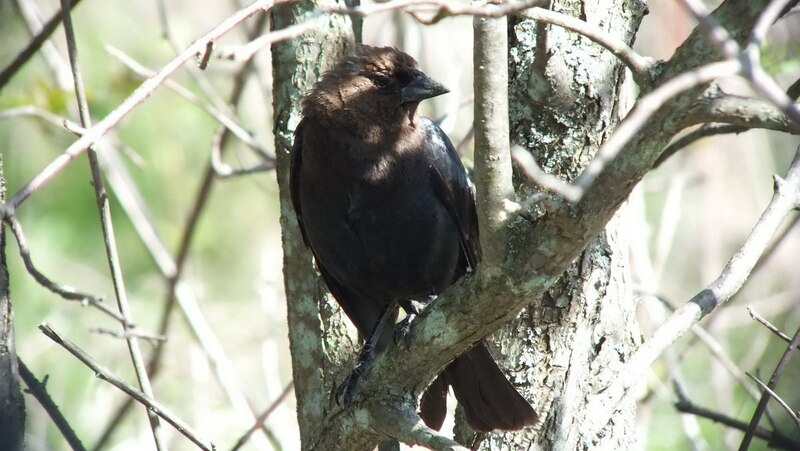 Female cowbirds put all of their energy into producing eggs, and have been known to lay more than 3 dozen a summer. Brown-headed Cowbird eggs have been documented in nests of over 220 host species including even those of hummingbirds and raptors. Because female cowbirds lay so many eggs, they have a large calcium requirement. To satisfy that need, they eat snail shells and sometimes eggs taken from nests that they’ve visited. In this recent photo taken at Tommy Thompson Park in Toronto, we see a pair of Brown-headed Cowbirds with the female sitting on the upper branch. The female’s plumage exhibits a less distinctive brown head. Instead, she is a dull brownish colour all over, with darker wings and tail. 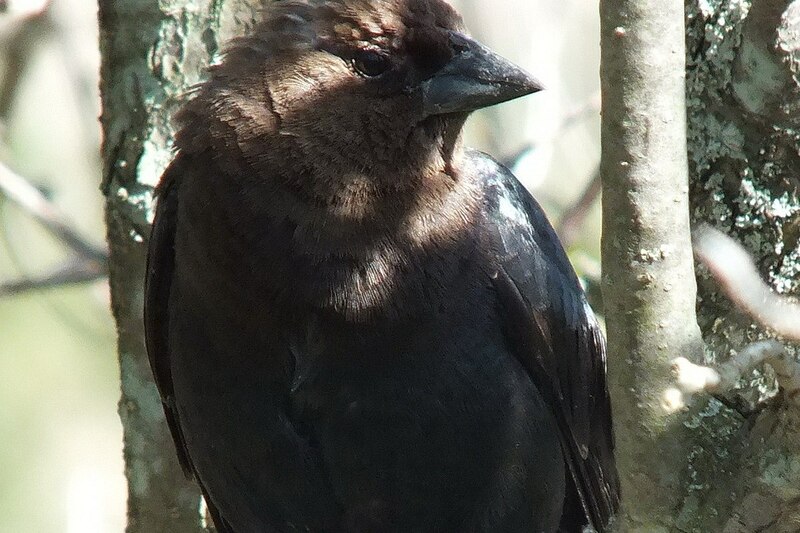 There are several reasons why Brown-headed cowbirds influence the survival of other songbird species. Newly-hatched cowbirds will often eject the host species’ eggs from the nest. Adult cowbirds may sabotage host species’ eggs. And, host species may abandon their own nests if a cowbird egg is present. All of these factors combined lower the survival rate of other songbirds. Not what you’d expect when looking at such a humble bird. Brown-headed cowbirds range has expanded, with the clearing of forests, and introduction of grazing animals, especially cattle. Which means their parasitic nesting behavior has expanded as well. 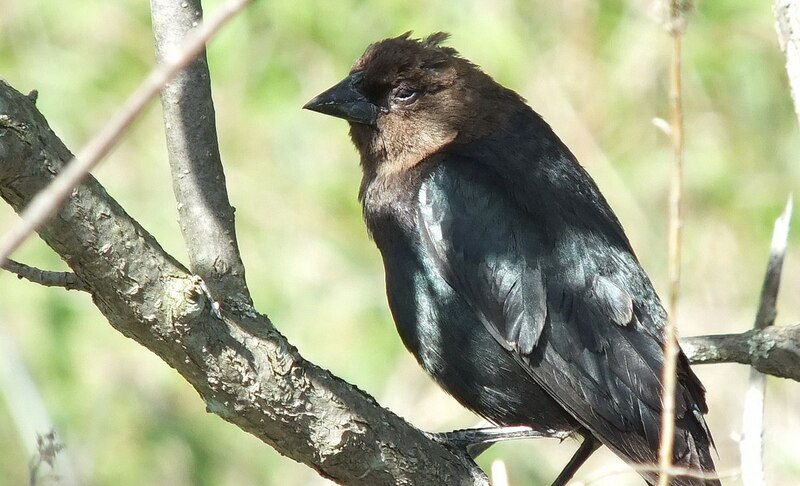 Some birds have not fared so well, from human activities, but the brown-headed cowbird has thrived from it. Yes, it is a shame that Brown-headed Cowbirds have such a negative impact on other species of songbirds, helped along by our own activities. Hopefully, with increased numbers of protected and naturalized areas, songbirds will gain ground and once again have the advantage.